Dealing with computer issues, here is one from a portait session the other day for Real Change. Mark Putnam, the new director of the King County Committee to end homelessness. Rick Helman, Head Forester for the Northwest Natural Resource Group, poses for a portrait as he surveys a recent harvest outside of Yelm, WA. The Silver Isle, skippered by Ray Foresman, is reflected in the window of the Bay Cafe in Fishermen's Terminal. Fisherman's Terminal is the home of the Pacific fishing fleet and boats from all over the west coast call it home. Spruce Trees stand in the fog on the side of Tiger Mountain on a rainy day outside of Issaquah, WA. A couple takes a photograph at Gas Works Park, one of Seattle's most popular parks. Fresh flowers are laid in front of the fisherman's memorial at Fishermen's terminal. The memorial is dedicated to Seattle fisherman that had lost their live at sea. Commercial Fishing is considered to be one of the most dangerous occupations in the world, with an average of 124 deaths per 100,000 workers compared to the 4 per 100,000 on average in the US. Crew Members of F/V Crusader load nets into a crate for storage at Fishermen's Terminal in Seattle. The crew consists on family members and others who spend most of the year fishing in the waters of Alaska and Washington for Salmon, Herring and Black Cod. 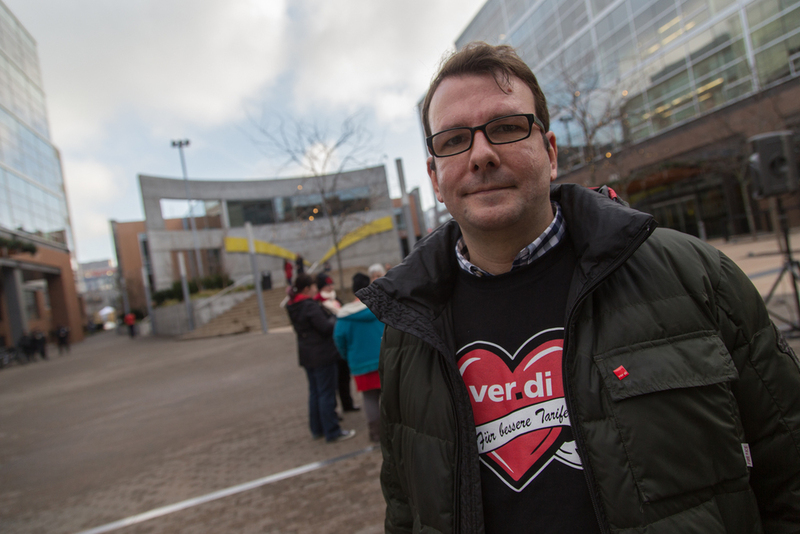 Markus Hoffman-Achenbach of ver.di, the German United Services Union, stands in front of the Amazon headquarters. Some Amazon employees stood in solidarity for 1,000 German Amazon employees who staged a warning today. Hoffman-Achenbach and others came to Seattle from Germany to bring the issue to Amazons front step. They are striking for better wages and working conditions. Amazon, one of the most prosperous companies in the world and a pioneer in e-commerce, is headquartered in the South Lake Union district in Seattle. Janna reads an article on a dark saturday afternoon in Seattle, WA. I was on assignment today and am playing catch up now, but here is a shot from earlier this week. Ray Foresman of Lynnwood, WA, outside of his locker at Fisherman's Terminal in Seattle. Foresman, a commercial fisherman of almost 40 years is the owner of a few vessels, including the Silver Isle. 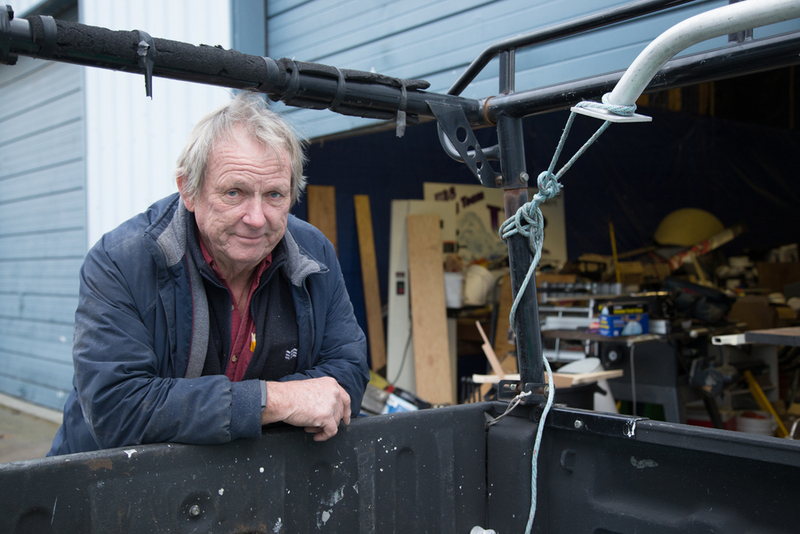 He says that what worries him most is that due to the cost of becoming a commercial fisherman, from licensing to the vessel itself, it is near impossible for people to work their way up from deckhands to owners.